Fashion, art and design lovers Gabriel and João know a thing or two about pretty things. They left behind careers at Apple to create one of the city’s trendiest boutiques. 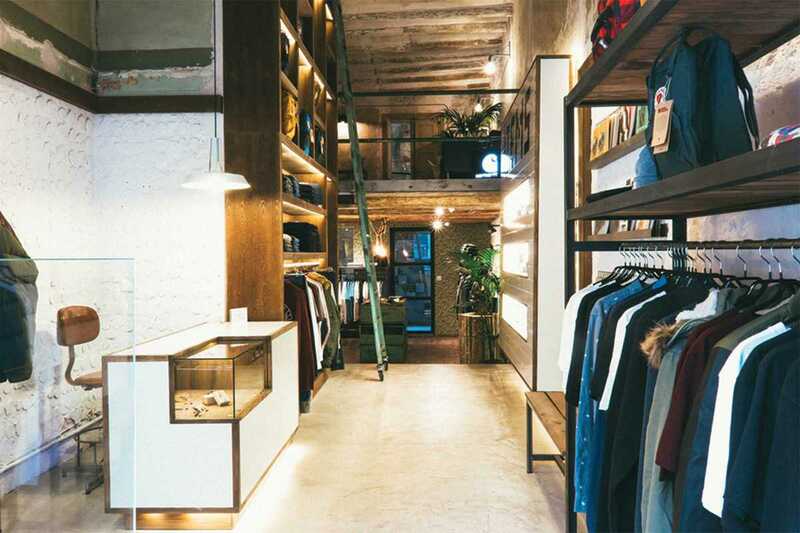 The concept shop, designed by Barcelona-based interior designer Miriam Barrio, features an eclectic selection that reflects the duo’s aesthetic: the “traits” that make them unique. You’ll recognize Carhartt WIP, Lacoste Live, Herschel and Reebok, but they have lesser-known wares like backpacks from Sandqvist (Stockholm), sunglasses by Han Kjøbenhavn (Copenhagen) and phone cases by Case Scenario (Monaco). They support local designers too such as Pacifico, Paloma Wool and TwoThirds as well as artists with exhibitions, mags and art on sale.